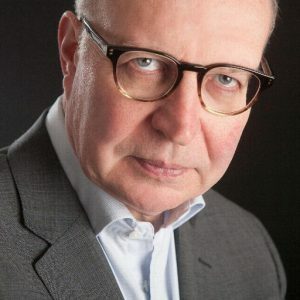 His article deserves to be widely read and reflected on: at a time when the public discussion seems to veer between squabbles over who has the authority to give notice under article 50, the eurosceptic part of the media painting a wildly optimisitic vision of Brexit and a steady stream of stories highlighting the damage, it is very encouraging to see some serious reflection from the House of Lords, and from Andrew Duff. Under the coalition government the Lords Europe Committee undertook a thorough review of the balance of competences between the UK and EU, only to see their report buried because it didn’t support the repatriation of powers. I fear their excellent work now is also in danger of being ignored. Brexit doesn’t mean our fishing industry can flourish: it faces real limits from low fish stocks, and this can only be addressed by co-operation with the EU. I can only hope that the voices of sanity on the Lords Europe Committee, and Andrew Duff, will be heeded in the coming months. Personally, I can’t avoid the conclusion that sanity also points to abandoning Brexit, engaging with the frustrations that led people to vote for it (which are not to do with the reality of the EU). My own hope is that, having discovered that EU membership makes far more sense than Brexit, we will find a way to be fully committed to the project — and to the attempts to improve the EU. In any case, I strongly encourage people to read Andrew’s article.